Jakarta-based Semisoft releases their first game on Steam on January 24th, just over a year after reaching their funding goal on Kickstarter. 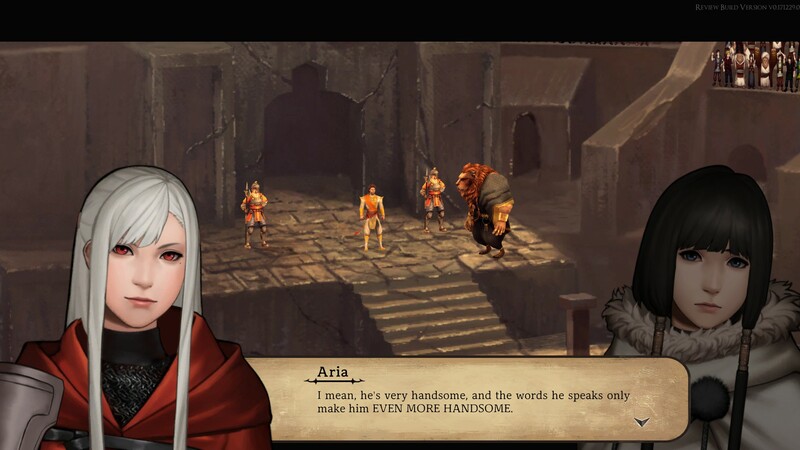 LeGrand Legacy Tale of the Fatebound is a sketched to life JRPG boasting nostalgic visuals and tactical combat. It courses with artistry and pragmatically crafted components. In each area smooth 3D models traverse hand-drawn towns and dungeons. Each area expresses wonder and beauty side-by-side with desolation and decay. My feelings were similarly mixed as I journeyed through LeGrand. My enjoyment wavered as my immersion into the battle system and investment in the story came and went, culminating into my asterisked recommendation. 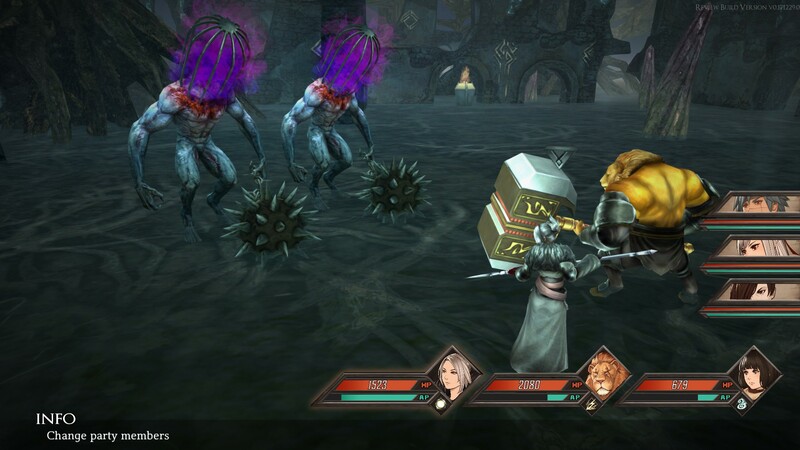 Where the old-school RPGs of the 90s and early 00’s were feeling around in the dark, LeGrand Legacy is meticulous and concise in its execution. Battles are consistent and transparent. As as traditional turn-based fashion, the party and foes face one another on a flat battlefield. Here however, each side is affixed to a 2-by-3 grid; the front row is for the bruisers and the back reserved for ranged and magic-users who are safe from melee hits until the front line falls. Items and abilities can affect individuals, or rows and columns of units, assigning importance to placement and movement. Battles occur in discrete phases; first each side throws out heals and debuffs. Then, any characters using Arcana attack (special moves that can be used once the AP bar is filled). Next, physical attacks from both sides occur in concert, and anyone casting Grimoire (this world’s version of magic) unleash their spells one-by-one. 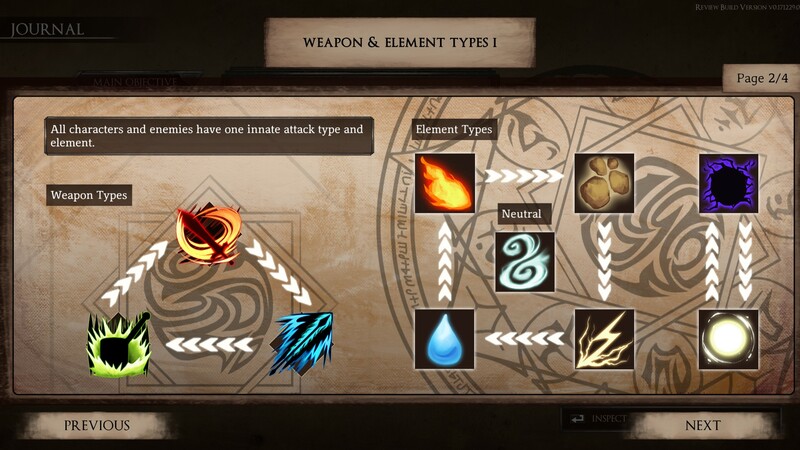 Battles rely on a weapon’s triangle and a Grimoire weakness chart. Each of the six playable characters wield a weapon type and element and fulfill a role in combat; the fire-aligned jack-of-all-trades, the lightning-based tank, the shadow-walking thief, and so on. Attacking a guarding foe will result in the attacker sustaining some damage. Before each attack and spell the player is presented with a QTE titled “Action Circle Tempo”. Hitting the correct button when the dial is within the correct region will achieve “Good” and hitting an even smaller slice of the circle will achieve “Perfect”, thus increasing the attack’s damage and accuracy. At first, I was excited. The system is just complicated enough to keep me playing, but not so complicated that I was overwhelmed. For me, it was like an unpixelated Legend of Dragoon meets a far less goofy Legaia 2: Dual Saga. The opening pre-rendered cutscene set the stage for a dramatic and dark tale, followed up by early game battles which were genuinely challenging as I learned the lessons the game was teaching me. Take it slow. Don’t be afraid to use consumables. Guard. Guard. What are you doing, guard! It was not romp and the unforgiving landscape contained a thoughtful story. Even then, disappointments emerged. For example, in my first few hours I found a not-so-hidden secret door, and opened it thinking that I had just found safety. Instead it was a boss who killed my low-health team. After I reloaded I simply charged up my AP and unleashed Arcana to make short work of it. Then came the realization that the party could only commit three characters in battle at a time, despite there being space for six. Fortunately, they can be swapped at any time, and indeed must be in order to survive many encounters. And the game remains complicated and interesting, but despite my efforts I couldn’t escape the disappointment that I would be unable to engage in six-on-six battles. The lowest point was a series of non-optional one-on-one battles. These three battles differ very little from one another, and are individually lengthy. They require the player to guard, use consumables, and wait for their AP to charge to use their Arcana. If the player does not guard at the wrong time and the enemy uses their own Arcana, which is a near one-hit KO and occurs with increasingly frequency, the arduous battle of attrition must start all over again. 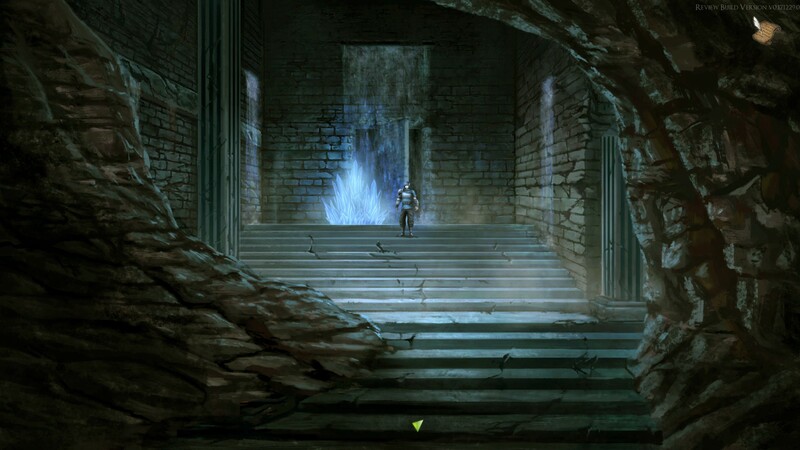 This two hour stretch of retrying and guarding ad nauseum was by far my least favorite part of LeGrand Legacy. The lore and story, like the combat, are mapped out and, even when the RPG babble starts flying, it is easy enough to follow. The story reveals details in digestible spurts, and the player does know everything all at once (and they do not need to). About 10 hours in the game hits its stride. The player has a growing stash of crafting materials, the characters are growing into their roles, and the catalog of side quests is thick. That is not to say that it does not drag. The balance of exploration, battle, and cutscenes are lopsided in favor of dialogues that, even if you mash through them, wax on and on. It is a predictable pattern; one of the major characters takes some harsh positions that represents one of their flaws, and the rest of the party painstakingly talks them down from it or they skittishly retract it soon after. Or, that annoying and soft spoken love triangle rears its retired head. The strong sense of character stretches thin over uneven dialogue after every short stretch of progress. In one instance, the game subjected to me to endless streams of dialogue that concluded with an unannounced and mandatory mini-game that was wearisome after an extended play session. Yet with each frustration I took a breather and returned. I recommend LeGrand Legacy if your Steam account has a dearth of RPGs you can cozy up with. Yes, some design elements and stretches can be frustrating or tedious. Yet, the thoughtful world and layered systems are attractive rewards for pushing through.